This is just a quick note to remind you that I think of you and plan for you and dream with you almost every hour of the day. 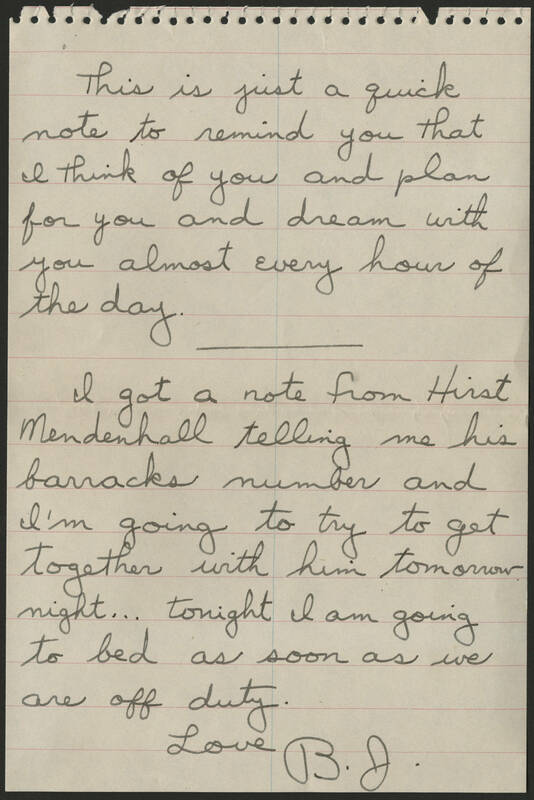 I got a note from Hirst Mendenhall telling me his barracks member and I'm going to try to get together with him tomorrow night... tonight I am going to bed as soon as we are off duty. Love B.J.